Boutique producer focusing on Italian and Rhone varietals in Fiddletown. Contains product descriptions, an order form [PDF format], and a company profile. The Terre Rouge brand focuses on Rhone-style wines, while the Easton brand includes Zinfandel, Barbera, and Sauvignon Blanc. Brief description and contact information for this Fiddletown producer. SiteBook Fiddletown City Portrait of Fiddletown in California. 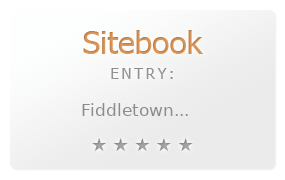 This Topic site Fiddletown got a rating of 3 SiteBook.org Points according to the views of this profile site.